We hope this place will answer all your questions, keep you informed and up to date with our current members and events, and also give a place for you to help support the Phi Xi chapter of Mu Phi Epsilon. You can navigate and view all the pages by clicking their links located at the top of the page. If you have any questions, comments or concerns, contact us via our contact page! 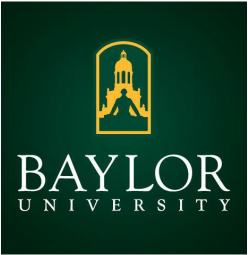 The Mu Phi Epsilon Phi Xi Chapter at Baylor University was founded on May 27, 1939. We are a nationally recognized chapter for our dedication to service to the Waco community and to the Baylor University School of Music. We do many fundraisers throughout the school year to raise money for our "Music For A Better Future" Scholarship which provides local students with lessons on their instrument/voice. Learn about current members and officers! 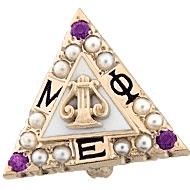 To enhance loyalty to the Alma Mater and develop true bonds of friendship. 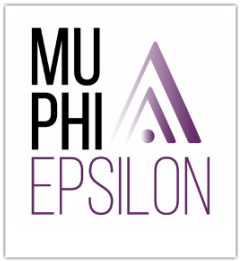 Check out the MU Phi Epsilon International Fraternity Website !